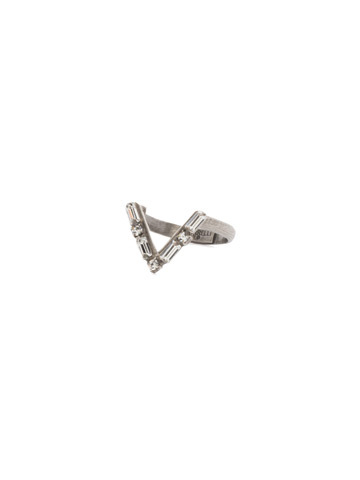 A crystal encrusted metal chevron offers a modern look. Want more sparkle? Stack multiples of this style together for a personalized look.